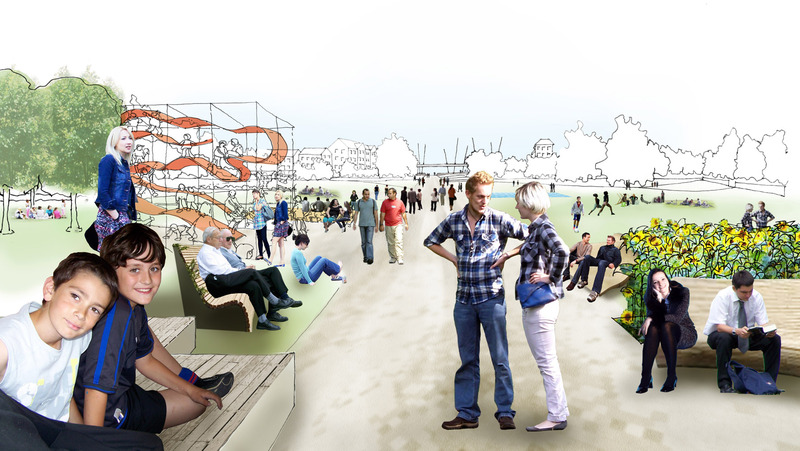 Pioneer urban and social version proposed by leit-werk in association with the IHK Ostthüringen and Altenburger Tourismus GmbH. Attract the region to showcase local business, develop tourism and open the region for new, green and sustainable technologies, boost local business Promote the region to the world. The vision for the future of the Altenburg region includes an attractive future the young generation to stay, reinforce existing economic and cultural activities and create places of exchange. 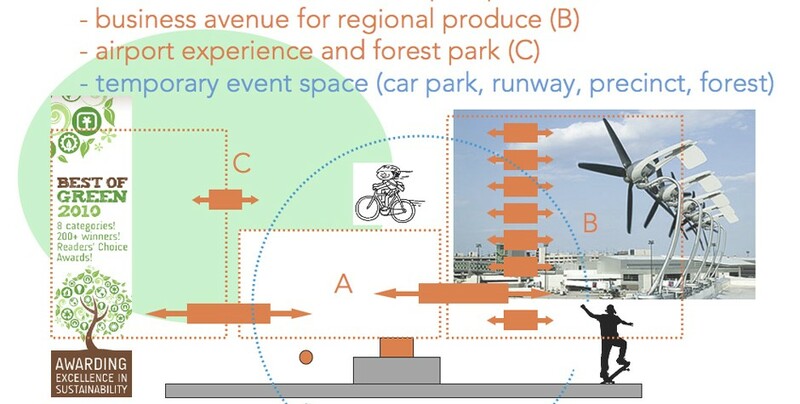 Amongst others the terminal was proposed to be opened as a leisurescape for non-aviation events as indoor and outdoor cinema and wall climbing. 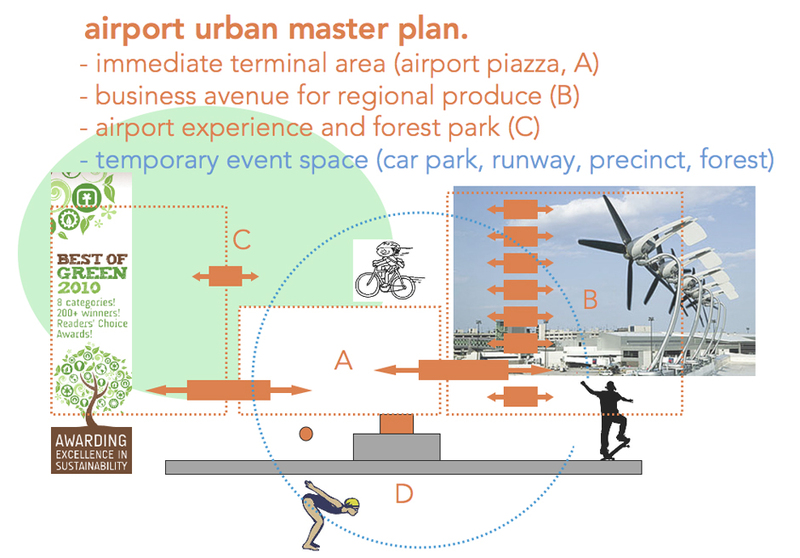 Further an Airport piazza and a Business avenue were proposed for temporary outdoor uses to transform the airport into a multipurpose landscape activating the extensive woodlands into a Forest park and to upheld ‘Rock on the runway’ to improve the economic viability of the airport as a valuable infrastructure for the economically underdeveloped region.